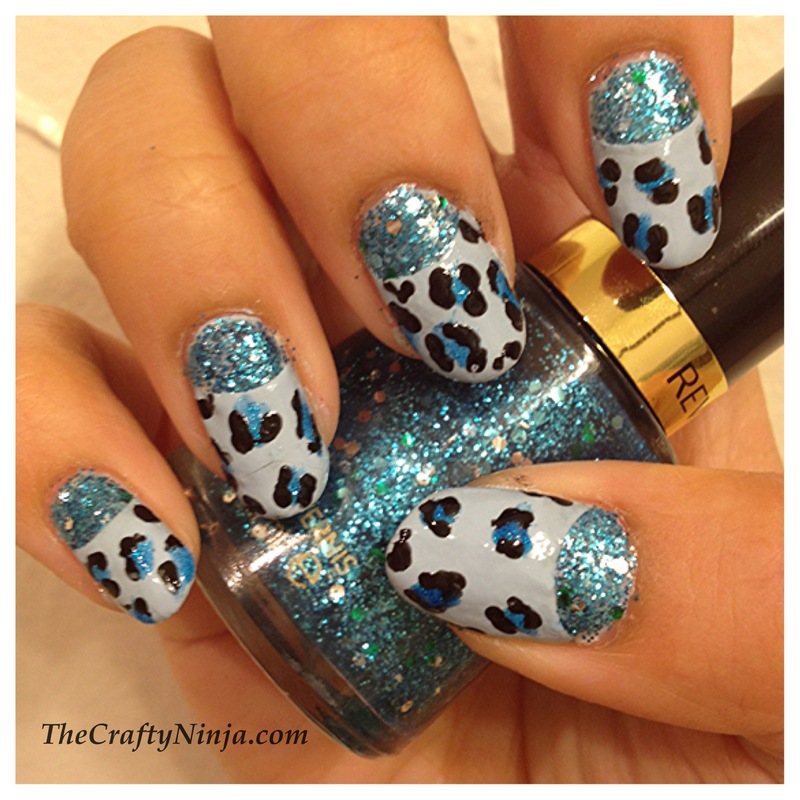 Today’s nail art I used my new Revlon-Radiant nail polish to create this leopard glitter nails. I love this nail polish, its so sparkly and fun. This is how I created this look. 1. Paint all the nails with Revlon- Radiant and once dry tape off with scotch tape. 2. Paint with a second color, I used Prue Ice- Bikini. 3. Pull the tape off. 4. Add spots, I used Art Deco Paint Polish in blue glitter. 5. Add C or ” lines around the spots with a Nail Dotting Tool, purchased here. 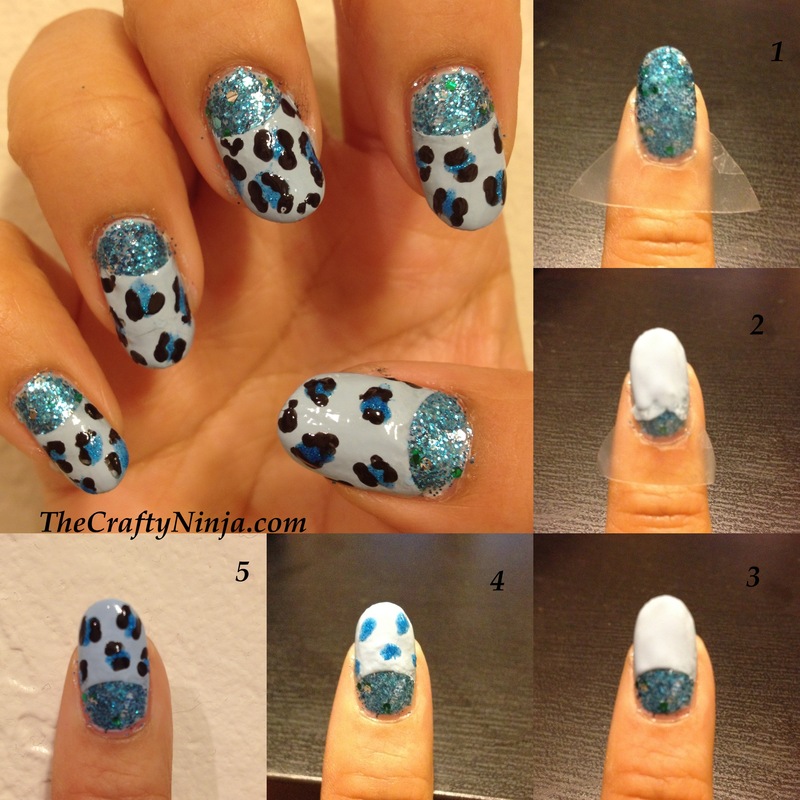 Check out my Leopard Nail Tutorial here. You could keep it simple or glitter all your nails. 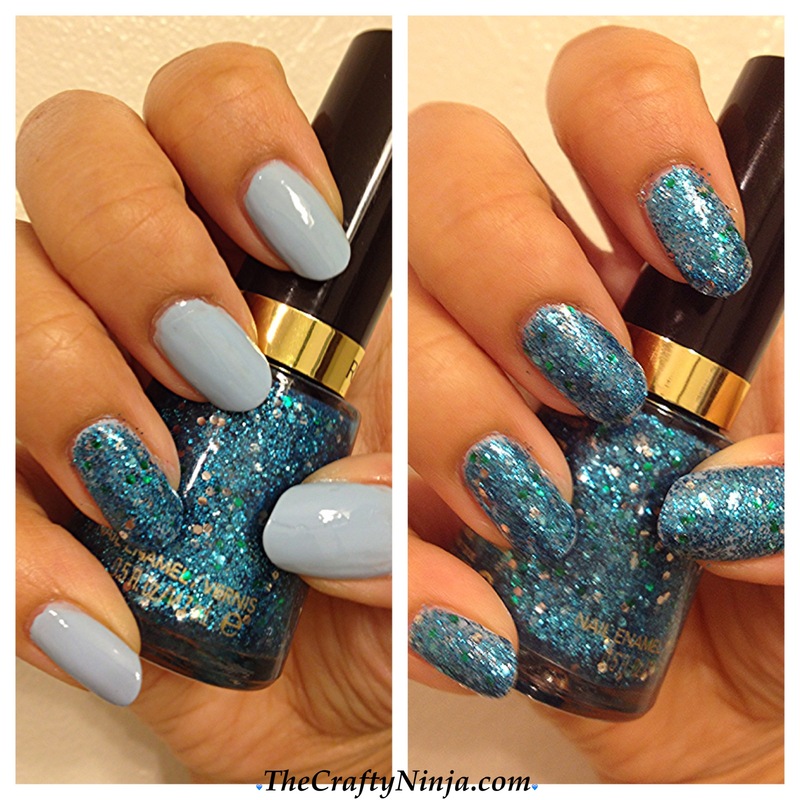 Relvon- Radiant has blue mirco-glitters with bits of silver and turquoise circle sequence.